The six interior drawers are housed in a plywood box that fits inside the lower portion of the armoire. The completed drawer housing measures 36-112 by 39 inches. Vertically, the drawer housing fits perfectly between the front horizontal support underneath the middle shelf (I), and the bottom (H), but it is 7 inches less wide than the available horizontal opening. The excess 3-1/2 inches of horizontal space on each side of the drawer housing is needed to accommodate the 1x8 trim that you will add later to the front of the armoire. In total, 7-1/4 inches on each side will be covered by the trim. Cut two top/bottom housing pieces (L) from 3/4-inch-thick plywood, each measuring 21 by 36-1/2 inches. 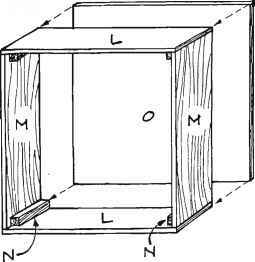 Cut two side housing pieces (M) from 3/4-inch-thick plywood, each measuring 21 by 37-1/2 inches. Cut four corner supports (N) from 2x2 pine, each 18-1/4 inches long. Glue and screw two of the four corner supports (N) to the 21-inch edges of a side housing piece (M). Use 2-inch-long screws spaced about 6 inches apart. As shown in Figure 8, make sure that the corner supports (N) are flush with the back of the drawer housing and 2-3/4 inches short of the front of the housing. This 2-3/4-inch spacing is necessary to accommodate the rails and stiles, which are added later, and to allow space for the drawer fronts and drawer pulls when the armoire doors are closed over the drawer housing. Place the two side housing pieces (M) between the two top/bottom housing pieces (L). Glue and screw the top/bottom housing pieces (L) to the corner supports (N) at all four corners. 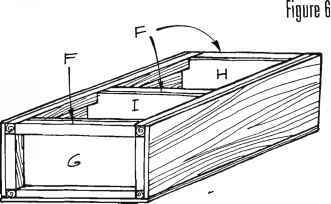 You should now have a box measuring 36-1/2 inches wide and 39 inches tall (outside measurements), as shown in Figure 9. Cut one 36-1 /2-inch by 39-inch housing back (O) from 3/4-inch plywood. Fit the housing back (O) over the exposed edges of the housing assembly, and glue and screw it in place, as shown in Figure 9, using 1 -1 /4-inch-long screws. 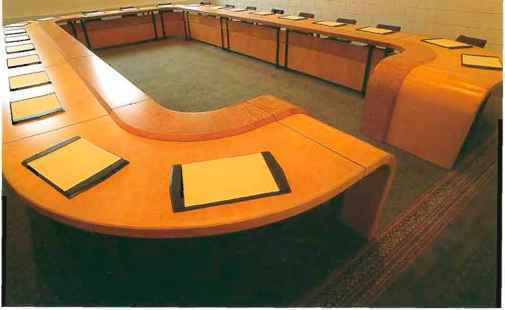 Cut one 18-1/4-inch by 37-1/2-inch center divider (P) from 3/4-inch-thick plywood. Cut four center divider supports (Q) from 2x2 pine, each 18-1/4 inches long. With 2-inch-long screws, glue and screw all four center divider supports (Q) to both sides of the center divider (P) along the 18-1/4-inch edges, as shown in Figure 10. 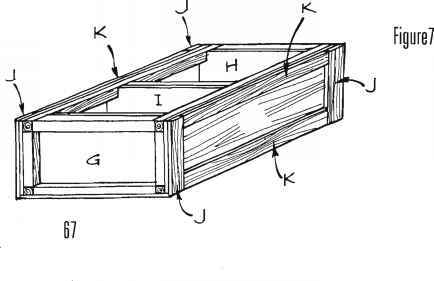 Position the center divider (P) in the exact horizontal center of the drawer housing, flush against the housing back (O), as shown in Figure 11. Note that there is a 2-3/4-inch allowance at the front of the drawer housing. Glue and screw the four center divider supports to the housing bottom (L) and housing top (L). Using 2-inch-long screws, screw through the housing back (O) into the ends of the four center divider supports (Q) and into the center divider (P). Cut two side supports (R) from 2x2 pine, each 34-1/2 inches long. Glue and screw the two side supports (R) to the housing sides (M), between and flush with the ends of the corner supports (N), 2-3/4 inches from the exposed edges of the housing sides (M). Use 2-inch-long screws, spacing them about 6 inches apart.